Merlin is available for charter throughout the year. 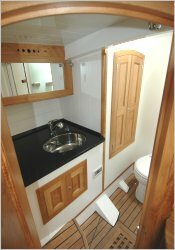 She is generally based in Plymouth, South Devon but she is capable of sailing wherever you would like to go. Families, groups of friends and corporate groups are welcome to charter Merlin for day trips or for extended periods at competitive rates. All itineraries are tailor made to suit the particular wishes of the chartering group. 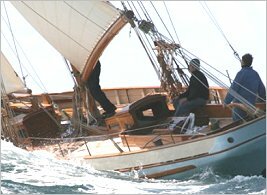 Merlin takes part in Pilot Cutter, Classic Yacht and Gaff Rig regattas and other major yachting events, either participating or as a spectator. Food and wine can be arranged to suit the occasion.